It’s a line from a recent sonnet by Carol Ann Duffy, Britain’s Poet Laureate, in which she reflects on the unhealing scars of the First World War — a good one that I’ve written in my notebook. A lot of what’s been accumulating there, now that I look, seems to hinge on time: the passage of, the healing powers inherent in, the feeling of travelling back through. You can’t do that, really — travel through time. That’s not the way it works. It’s not a geography; you can’t get there in a rented white Nissan Qashqai. Leaving Arras this past weekend, I drove mine east ahead of Sunday’s Armistice observances, through farm fields still growing green against the autumn coppering of the hedgerows and the burnt colours of the cypress trees. French President Emmanuel Macron spent last week on a country-wide tour of First World War sites and monuments — “memorial roaming,” one national newspaper called it, not so admiringly. I was on a roam of my own, headed to the Mormal Forest for a ceremony in a village that was liberated in 1918 by a British Army battalion commanded by my grandfather. Along the way, my plan was to stop in at a string of First World War sites and cemeteries, including Newfoundland and Canadian monuments at Monchy-le-Preux and Bourlon Wood. Rain was starting down again as I set out — enough, almost certainly, to discourage a U.S. president, though not so sluicingly that I needed to click my wipers up from intermittent duty. 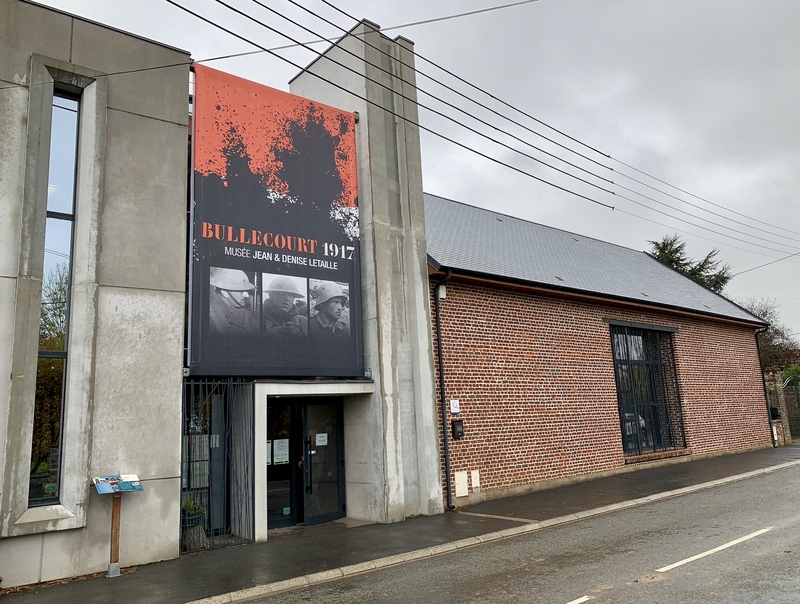 First stop: the tiny resurrected village of Bullecourt, a wounded place if ever there was one, where there’s a private museum I wanted to visit, if I could get there in time before it closed for lunch. I got there. The woman narrating my GPS guidance didn’t think I’d make it, and in Bullecourt proper, she got so annoyed with my impulsive wrong turning that I thought I’d better park and take the last bit on foot. First World War museums are sombre places, and the Musée Jean et Denise Letaille is no exception. Time isn’t a distance we can cross, and our imaginations, mercifully, aren’t up to conjuring the full extent of the terrible ‘then.’ Even so, the emotions that photographs and artifacts and stories preserved and put on display can, and do, provoke feel fresh and raw and painful. Bullecourt was at the centre of two brutal battles in 1917, pitting Australian, New Zealander, and British troops against the German Hindenburg Line, a heavily barbed and cruelly machine-gunned redoubt. The Allied attacks didn’t succeed, to an extent that’s horrific even by 1914-18 standards: some 10,000 Australians were killed or wounded over the course of two spring days, along with 7,000 British troops and upwards of 10,000 Germans. The battling not only razed the village; so entirely did it sour the area surrounding that when the war ended, it was all declared no-go, designated by the French government as part of the Zone Rouge, the definition of which included the operative phrases Completely devastated and Impossible to clean and Human life impossible. Time ticked on. Eventually, at some point in the 1920s, life returned to what had been Bullecourt. The village was rebuilt. That’s when, working the fields, Jean Letaille and his fellow farmers began their perennial harvest of war’s waste. They turned up helmets and ammunition, rifles and shell casings and machine guns, bombs, bottles, badges: all the ingredients of war, up to and including a British Mark II tank with its commander’s corpse still inside. The earth divulged other dead soldiers, several of which the local farmers were able to identify and repatriate to Australia for burial. Jean Letaille began to collect matériel, informally at first, later in a more systematic way. Today, the museum that bears his name is carefully curated and well-organized. What the collection demonstrates, and powerfully so, is that other than death, destruction, desolation, sorrow, and millions of inadequate words, what the war’s legacy amounts to is an unholy mass of scrap metal. At Bullecourt I didn’t know what to write in my notebook, so I picked a single word from the paragraphs of explanation on the boards on the wall and wrote that: futile. 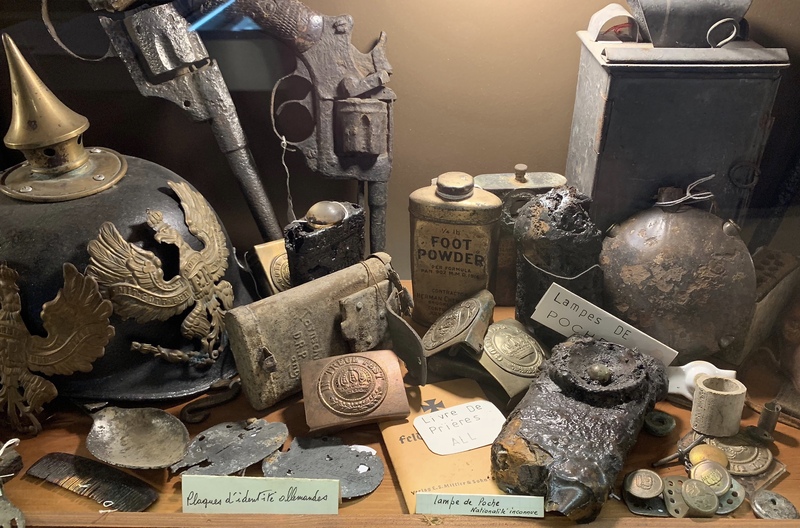 What the collection demonstrates is that other than death, destruction, desolation, sorrow, and millions of inadequate words, what the war’s legacy amounts to is an unholy mass of scrap metal. I went on to Monchy and Bourlon Wood, where there were stories of other determined attacks and braveries, and of other deaths, different futilities. And a couple of days later I crossed the border into Belgium and got to Mons, where Canadians fired some of the final shots of the First World War a hundred years ago this month. The opening clashes of the war occurred here, too, as it happens. I read about those at the Mons Memorial Museum, and also about the German Army’s harsh occupation of the city after they drove the British back. I found this to add to my notes: in 1916, when the German Empire set their clocks ahead by an hour in the world’s widespread effort to save daylight, the citizens of Mons quietly resisted the change and went on living on Belgian time. I’m still pulling these notes of mine together, trying to figure out where they point. I have yet to concoct any kind of thesis to fit them into — like the woman in the GPS kept doing as I failed yet again to take the turn she was mandating, I’m recalculating. One last note: as clocks ticked towards 11 on the last morning of the war, a Canadian infantryman from A Company of the Canadian Expeditionary Force’s 28th (Northwest) Battalion was taking cover in a house the village of Ville-sur-Haine, just outside Mons. The story is that when Pvt. George Price decided to step out into the street for a scout, a German sniper shot him down. Price was 25, a son of Falmouth, Nova Scotia. He died then and there, at 10:58. The peace came two minutes too late. On Monday, I visited Pvt. Price’s grave at St. Symphorien Military Cemetery. Afterwards I continued on to the new monument to Price that was dedicated this past weekend in nearby LeReoulx. Price’s original gravestone is preserved in the Mons museum. I was on my way upstairs to see it when a brochure near the gift shop caught my eye.